I have had an amazing season; my third in Verbier and training with Altitude has made it the best yet. 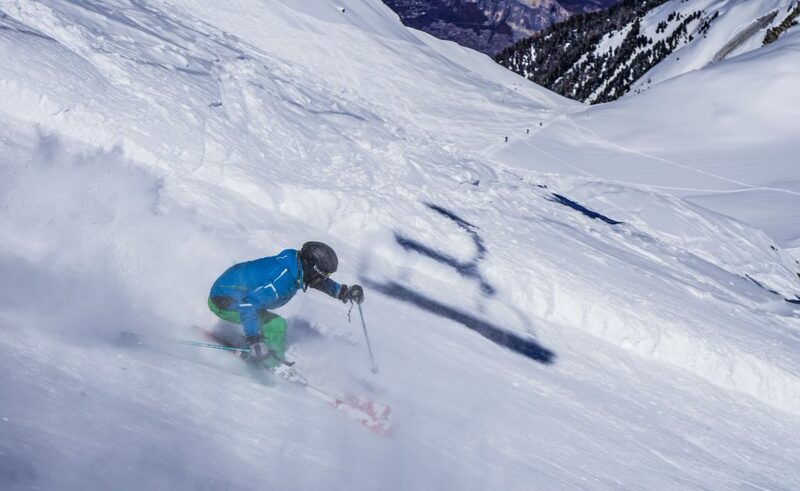 It’s been very busy with teaching, training, exams and après ski, there were also incredible snow conditions perfect for training and some off-piste powder days. The formation week in the first week of the season was a great opportunity to get to know everyone at the school and get our ski legs back before the start of training. We went through everything we would need to know about the ski school and resort, which came in really useful when we started teaching at Christmas. Our training started with the basics. The first week of training consisted mostly of slow paced drills (which are much more difficult than they sound) to highlight fundamental issues in our skiing, and build understanding of how problems at slow speed transfer to high end skiing. In the following weeks our trainers, Ross Alejandro and Harry challenged each aspect of our skiing. For example learning to build more performance by training our piste turns in race gates, pushing us physically by trying to ski mogul runs from the top to the bottom in one, and developing skills like balance and agility by using drills such as one ski skiing and tic-tac turns. They would then link this training to the exam criteria by finding slopes that were appropriate for the exam, setting us an exam task such as short turns in a 3-metre corridor and giving us individual feedback as we lapped the run or through video analysis. I really valued the way the trainers were able to tailor our feedback to suit how we learned best, working with us so we gained a deeper understanding of our own ski performance. I found this really important in the exam, as you can’t rely on lots of advice from the trainer so you need to be able to interpret feedback from your skis and make changes accordingly. The amount of variety of teaching methods our trainers used whilst coaching throughout the season was excellent as it taught me to be adaptable, this really made difference in the exam as the examiners want you to be able to quickly change between disciplines. I took two exams this winter. The first was mountain safety, which was a very informative and useful week for anyone interested in off-piste skiing or touring and also the most fun exam I have ever been on. The second exam I took was the level 3 technical. It was a highly demanding physically, technically and mentally but I had excellent support from Harry, Ross, Alejandro and the rest of the ISIA trainees. When I wasn’t training I was teaching during the busy holiday weeks, I had a great time teaching both group and private lessons and I was then able to save up and buy a nice new pair of skis, which I subsequently snapped within a week in the moguls! Verbier is famous for its nightlife which is of course amazing however when you are training for exams its not necessarily ideal for keeping fit. So it was great that Harry, Ross and Alejandro put lots of effort into organising other off-snow activities outside just going to the pub. We played uni-hockey, went bowling, climbing and to Verbier escape rooms, had darts and pool tournaments as well as fitness training. This was really good for building a strong team vibe between everyone training, not just on the level 3 course but the gap and the level 4 courses as well. I’m really grateful to all my coaches for the help they have given me this season, which has massively contributed to successfully passing my exams, and to all the Altitude staff who have made this season so fun and enjoyable. I’m already really looking forward to next season and starting to train for level 4.